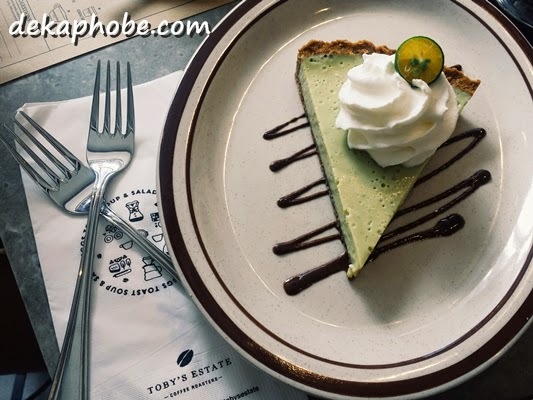 [i am a dekaphobic]: Toby's Estate: Now in Ortigas! 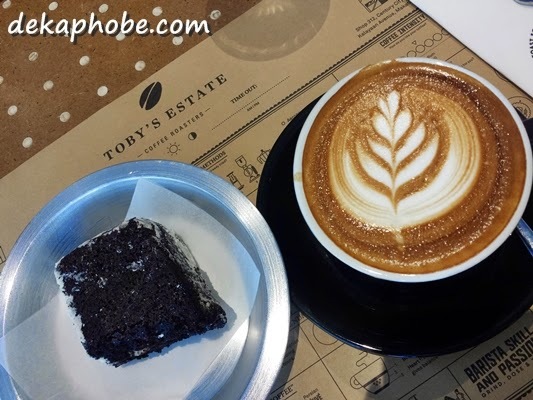 Toby's Estate newest branch has opened last January 17 at along Ruby Road in Ortigas Center. Fortunately, a few meters away from my current workplace (yay!). What's not to love about this place? 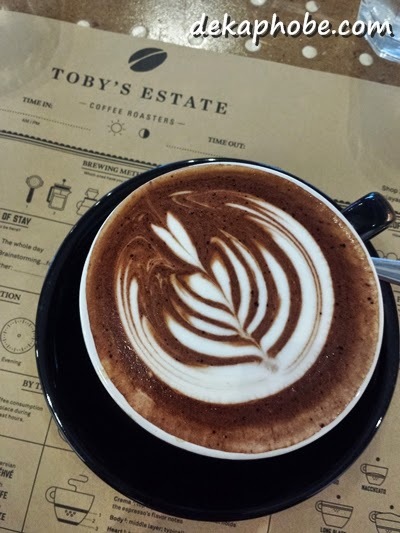 Toby's Estate Ortigas is one of the most spacious coffee shops I have visited. 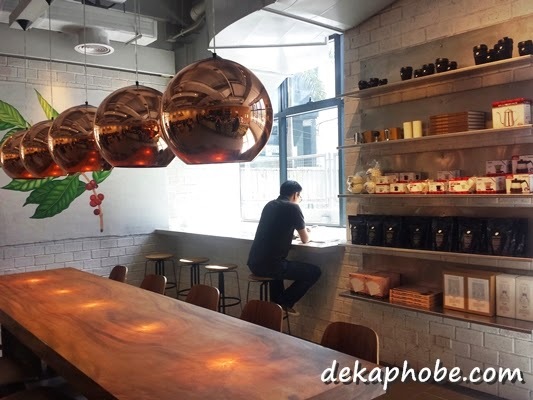 It has this industrial yet homey ambiance that would make you sit and enjoy your coffee even for a few minutes. I have visited this place a lot of times since it opened are here are the drinks I have tried. My very first cup of coffee in any new cafe is the pourover coffee. 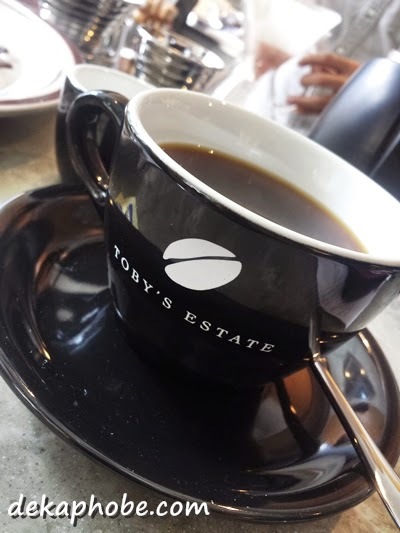 Toby's Estate has Costa Rica Monte Copey & Jardin de Aromas (Php 160). You can even sit by the bar and talk with your barista as he prepares your coffee. The friendly barista explained that Monte Copey is more on the fruity side and I should try it without milk first so I can really taste the coffee. 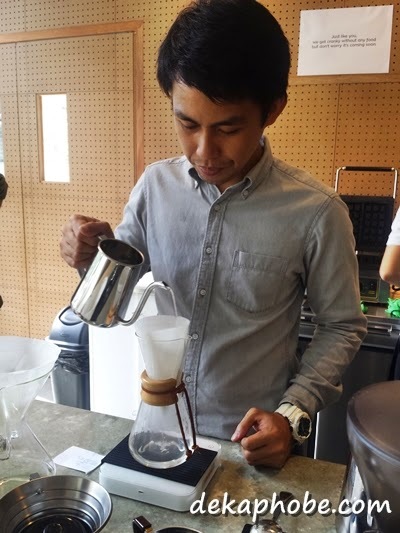 The coffee filter use was finer than usual for better quality of the blend. I was impressed with it that I would love to have this again. I have also tried a Latte (Php 150) with Buckies and Cream (Php 80). 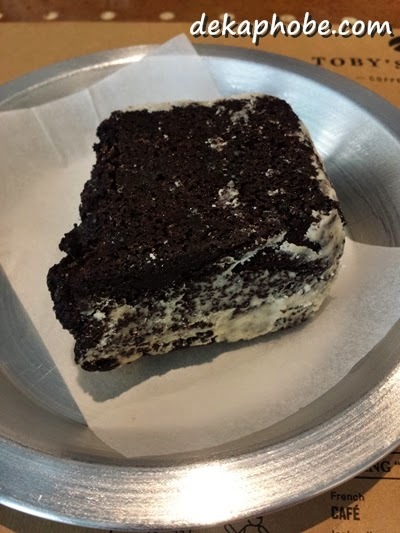 Buckies is a type of dessert that combines brownies, chocolate cake and fudge. I underestimated this dessert that I thought I could finish a piece, but ended up sharing with a friend. It's chewy and can be heavy, but still a delicious treat. Another must-try dessert is the Calamansi Pie (Php 190). This is a perfect pair to any strong cup of coffee, as the tartness blends well with the bitterness of the coffee. On those lonely days where I need something sweet, I grab Mocha (Php 160), a drink more chocolatey that it defeats the taste of caffeine my system always looks for. Toby's Estate will start serving food this month, and I can't wait to share them with you soon. I have a thing for places with industrial-theme interiors. This looks like my future favorite. But first I'm going to check out the Toby Estate Makati. Good to know that you enjoyed our coffees and pastries..
Our kitchen will be launching soon, we are also excited with that! Hope to see you and try out other single origin coffees at our slow bar. Thanks again for posting and see for a cup of coffee. So nice they now have a branch in Ortigas! :D Been wanting to try their coffee, but when I saw their store in Century Mall, "ay, di pala pwedeng tambyan" since it was small and more for coffees to-go. Haha! Will definitely check out their store in Ortigas though. So glad to have read this on your blog!